U.S. and Afghan soldiers on joint patrol in Shabila Kalan, Zabul, Afghanistan, November 30. Top officials of President Barack Obamas administration have been making the rounds in Congress and the media to clarify that the presidents reference to a July 2011 exit date for U.S. troops in Afghanistan is not set in stone. They say that U.S. troops will be in Afghanistan for a considerable period of time. The imperialist occupation is entering its ninth year. U.S. officials have expressed their disappointment with the pace at which Afghan president Hamid Karzai has attempted to establish a stable government and expand the Afghan security forces. Obamas national security advisor, Gen. James Jones, was interviewed on CNN also on December 6. Jones said that many of the U.S. troops being sent to Afghanistan would be deployed near the Pakistan border, where really the most important struggle that were going to have is to make sure that on the Pakistani side of the border, that we eliminate the safe havens. Jones was referring to Taliban and al-Qaeda bases in Pakistan, which shares a 1,640-mile-long frontier with Afghanistan. The Pentagon has already given orders to 16,000 U.S. troops to get ready to head to Afghanistan. Some 1,500 marines from Camp Lejeune in North Carolina are expected to arrive before the end of the month. The 30,000 new troops will more than triple the number of U.S. soldiers that were there when Obama took office. The Wall Street Journal reported December 7 that the Pentagon has received authorization from the White House to send an additional 3,000 U.S. soldiers, bringing the total to 33,000. Gen. Stanley McChrystal, who heads U.S. and NATO forces in Afghanistan, had requested 40,000. Although Obama did not announce measures to rapidly double the size of the Afghan army and police, as proposed by McChrystal, some 4,000 trainers for the Afghan security forces were included as part of the 21,000 additional U.S. troops authorized earlier this year. While some Republican leaders complained that Obamas withdrawal date sends a mixed message, for the most part they backed the war escalation. Senate majority leader Harry Reid, however, said that Obama made a convincing case for sending more troops. NATO secretary-general Anders Fogh Rasmussen said that 25 governments have agreed to send 7,000 more troops to Afghanistan to back up Washingtons escalation. 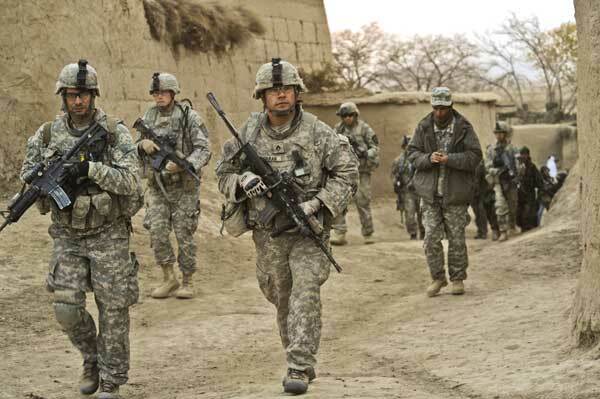 There are currently about 36,000 NATO troops from 41 countries in Afghanistan in addition to the U.S. forces. But neither NATO nor Washington has detailed where the 7,000 will come from. At least 1,500 of these additional NATO forces have been in Afghanistan for months. They are being counted as new troops because they had been scheduled to depart. More than 1,000 Afghan civilians died as a result of the war in the first six months of 2009, according to the United Nations. The UN report claims that almost 60 percent of the deaths were caused by the Taliban and other armed opponents of the U.S. occupation and the Afghan regime. U.S. military officials say that NATO air strikes declined by nearly 50 percent since early July, when McChrystal issued a directive to restrict attacks that risk hitting residential areas. They claim that the pace of civilian deaths has also declined. On December 7, Afghan officials report, six civilians were killed during a predawn raid by U.S. troops in Laghman Province, east of Kabul. NATO officials insist only combatants were killed. Hundreds of people marched to Mehtar Lam, the provincial capital, to protest the killings the next day. At least one demonstrator died after clashing with Afghan police.